Few Muslim men leaders have stood up to the Islamist onslaught. Of these, none have held a position of any consequence in the Muslim world, that is until now. In a speech long overdue the President of Egypt made an impassioned plea for fundamental changes within the world of Islam. Citing the rising violence seen around the world and even in his own country, he said Islam must change. What he called for was nothing short of a revolution of perspective, a fervent call that one can only hope is heard. Asking Muslims to look in the mirror and to see what the world sees. Only then might they start to comprehend the road their faith is on and turn it from its own destruction. I am referring here to the religious clerics. We have to think hard about what we are facing—and I have, in fact, addressed this topic a couple of times before. It’s inconceivable that the thinking that we hold most sacred should cause the entire umma [Islamic world] to be a source of anxiety, danger, killing and destruction for the rest of the world. Impossible! That thinking—I am not saying “religion” but “thinking”—that corpus of texts and ideas that we have sacralized over the years, to the point that departing from them has become almost impossible, is antagonizing the entire world. It’s antagonizing the entire world! Is it possible that 1.6 billion people [Muslims] should want to kill the rest of the world’s inhabitants—that is 7 billion—so that they themselves may live? Impossible! While such words speak powerfully to the heart of what Islam faces and the evil being born through it, they are still the words of but one man. He might bravely be standing in the breach but who will join him? Islamist might be ravaging non-Muslims with a barbarism beyond comprehension, but they are also killing Muslims as well. Attempting to initiate a religious purging of those who they see as impure in their faith. To this end, Sisi seeks not to attack the faith of Islam, but to defend it against those who are destroying it from within. The question remains, who else among Islams leaders will stand with him? True, others have spoken to this issue, but theirs were voices in the wilderness seeking forums to say their peace. Lacking a podium and statue, they are as often ignored as not. Imams, if they have spoken to this issue, have done so in private, avoiding the spotlight of public discourse. 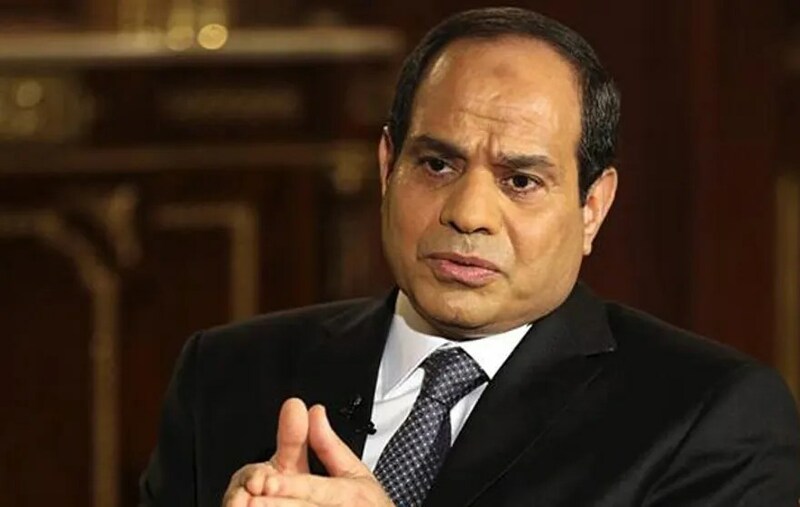 Sisi for now is unique in having spoke so clearly on this important topic form a position of power. Let’s us hope he does not remain so.